Use this to search our broadest collection of articles (from EBSCO), or try one of the specialty databases below. Health journals, evidence-based resources and full-text dissertations for researchers and health care professionals. Documents related to homeland security policy, strategy, and organizational management. Articles, videos and more in the field of psychology. Information about millions of US businesses that can be exported to Excel. Links to publicly searchable databases produced by the 50 US state governments and the District of Columbia. 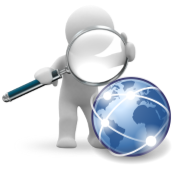 Keyword searching of state bills, statutes and regulations. Use this to help you access specific journals. State employees can give us the details, and we will try to locate the material. Use our interlibrary loan form or contact us. The databases are available to Missouri state government employees, and can be accessed remotely with a Missouri State Library card number. Need a card? Learn more. Please contact us at libref@sos.mo.gov or 573.751.3615 with any questions.